If you are anything like me, winter time is when we become hermits. I do not feel like going anywhere or do anything. I just want to sit home, read online material and take baths. It seems that I then acquire the ability to grow a second skin, a hairy one. I will blame that on the Eskimo survival skills. Over the next couple of weeks I will be doing a series of blog posts named "Getting ready for Summer" I will touch on some areas that I have to "work" on before I can wear those airy summer dresses and cute sandles. 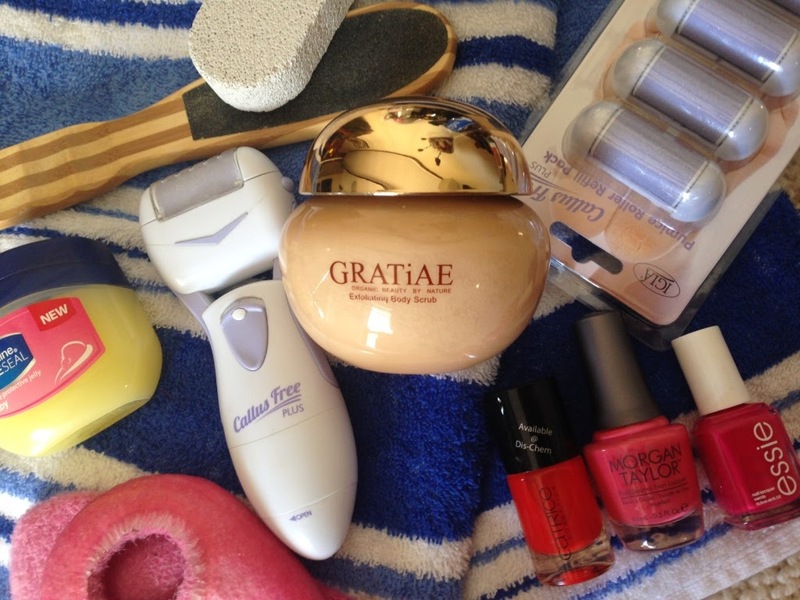 My first issue will always be my tootsies, and here is how I get them into tip top shape. First off I like to pour some nice hot water into a spa bath and soak my feet for a couple of minutes. Then I take a handful of the salt and rub it all over my foot. I rub it in between my toes, my heals, everywhere! You know those people that bug you in the middle of the mall isle. 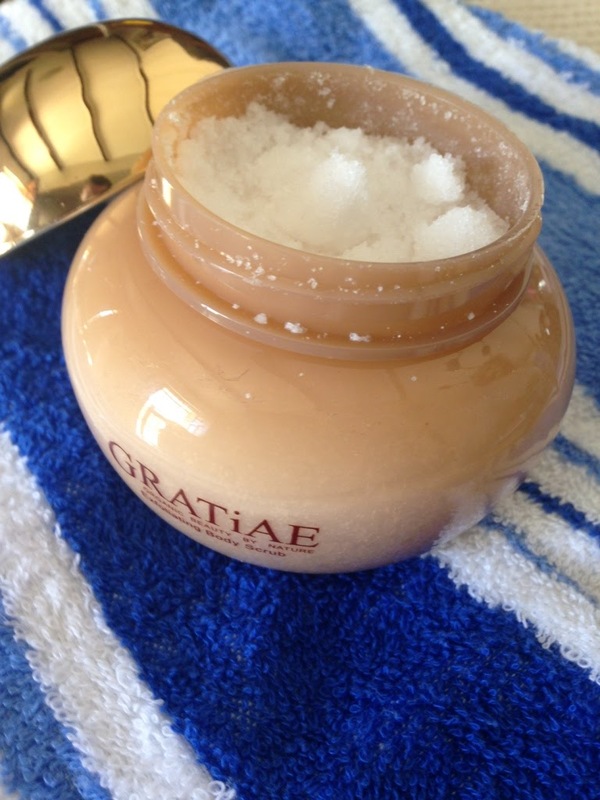 Yeah yeah we all fell for at least one of them This is the dead sea salt. It smells like passion fruit, reminding me of summer. This Callus Free Plus saved my life. Its an electronic foot file and it makes my feet feel so smooth and healthy. I have very dry skin, so I need to look after my feet or else they quickly start looking like something you'll find in a horror movie or use to scare off unwanted visitors. It is easy to use, easy to clean and 110% effective. 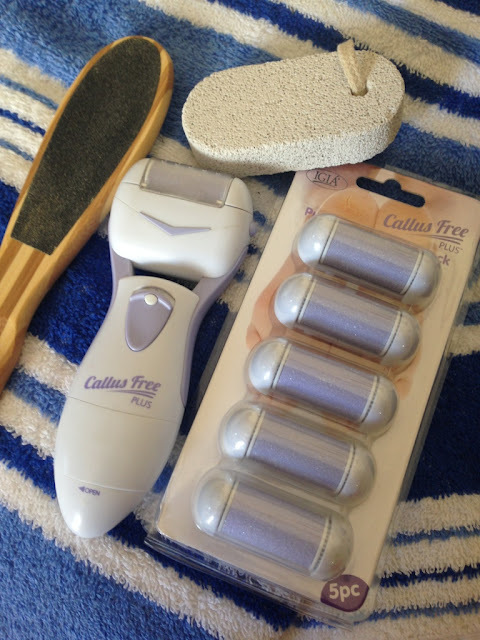 The callus Free is available from Homemark and is about R280 excluding batteries. I first read about these socks on Pink Peonies and I did not think much off them. Then I saw them at Clicks and I remembered her loving them so much. So in the basket they went (it was one of those spendy-mood days) One of the best purchases ever! They are gel infused and like feet heaven. the outside part is made of 80% polyester and 20% spandex. The inner part is made of 90% thermoplastic rubber & 10% petroleum. These socks with it's "magic"gels inside help to soothe, moisturize and relieve cracked and dehydrated skin. I like to put some Vaseline on (since my sock's gel is long time gone) and then put on my sock and read a bit while the Vaseline penetrate the skin. The earbuds is there to apply the Vaseline. Somehow I have the ability to get it everywhere except where it's needed so the earbuds help. ALOT! 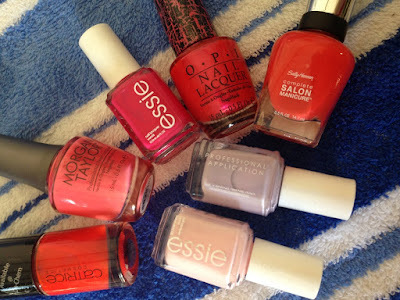 These polishes are some of my favorites to use. I love using pinks & reds and even some orange can brighten up my day. I feel that when a lady's toes are painted it just make her look taken care off. Sometimes it is the little things that can make a big diffidence.